Brilliant handling, traction, roadholding and acceleration. Peerlessly quick point-to-point car in all weathers. You may need Tommi Makinen's credit card to run one. Your driving licence may be in danger. Careless maintenance will mean big trouble. I'd driven EVOs before. 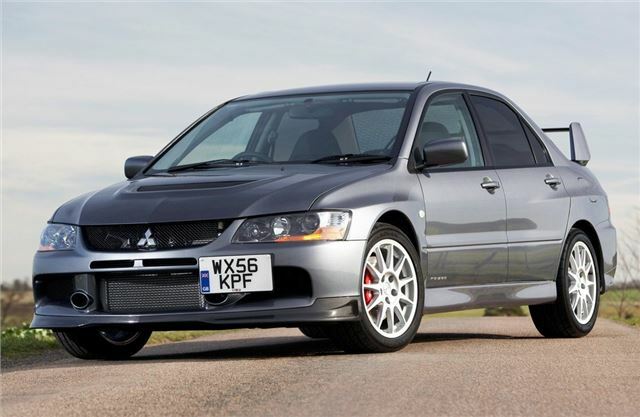 Most memorably an EVO VIII FQ400, on an unfamiliar track, with an instructor who kept grabbing the wheel to show me the lines, in a blizzard. At times I couldn't even see the sides of the track, never mind the next corner, so don't ask me about that car. 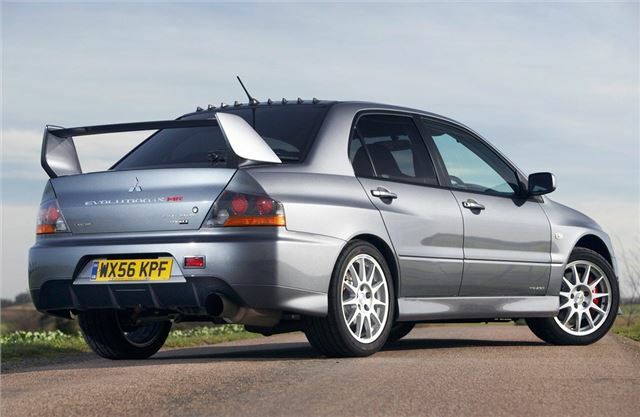 The EVO IX is the latest and last of a long line of EVOs, which began, logically enough, with the EVO 1, a 247bhp all wheel drive car built to qualify for FIA Group A rally regulations and get out there and fight the Imprezas. The EVO II arrived in 1994, with 256bhp and, over the years, progressed to the EVO VIII, the ultimate incarnation of which was the FQ400. In case you were wondering, ‘FQ' does mean ‘very quick': 0-60 in under 4 seconds and a top speed rev limited to 157.